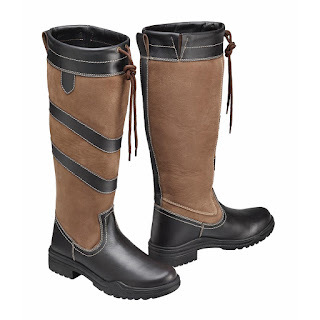 These fantastic boots from Harry Hall is waterproof and breathable. Stylishly designed long country boots with a leather and nubuck outer. Breathable and waterproof inner membrane to keep your feet comfortable and dry. Elasticated gusset with generous calf fitting. Lace front and leather tab.